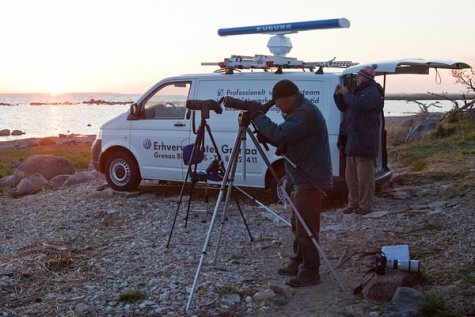 It should be pointed out that a total of 109 observation reports were submitted to the EOÜ, the greatest number in the history of these bird watching days. 320 observers shared their observations at the first weekend of October with others. Many thanks to all of you! The bird friends counted altogether 418 900 birds of 156 species in the course of the birdwatching days. The number of barnacle geese is certainly worth notice – 197 740 individuals were counted, 47 % of the total number of birds. More than 240 000 geese and ducks together were seen during the bird watching days. It should also be noted that a few species have been excluded from the observation summary. The probability of having seen them in October is nearly non-existent and the cases are probably false identifications.